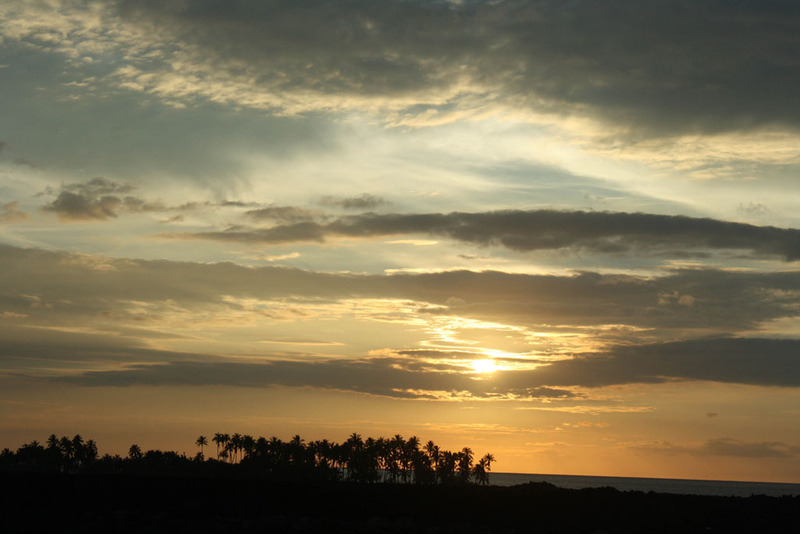 One suggestion I have for anyone traveling to Kona: a lot of the attractions require a pretty long drive. 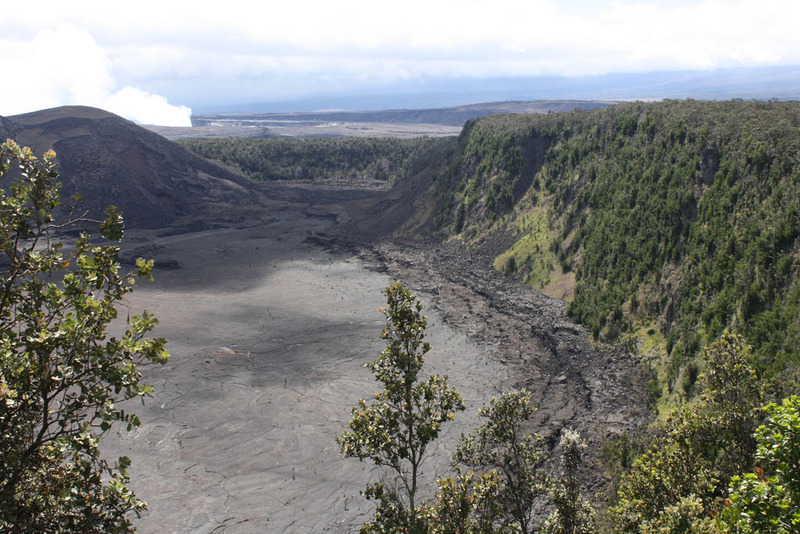 For example, the Volcano Park is about 2.5 hours from Kona. 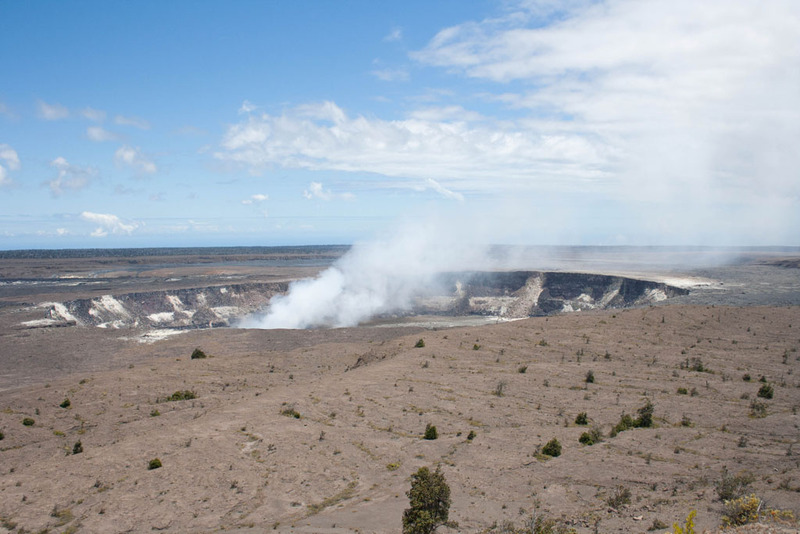 The above picture is in front of the volcano. There was an 11 mile route you could drive around it to see the sights. There were the look-out points that showed the steam coming out and then a museum. Our neighbors at the condo we were staying at had the right idea: they got up at 5am to drive to the Volcano Park so they could do and see everything. 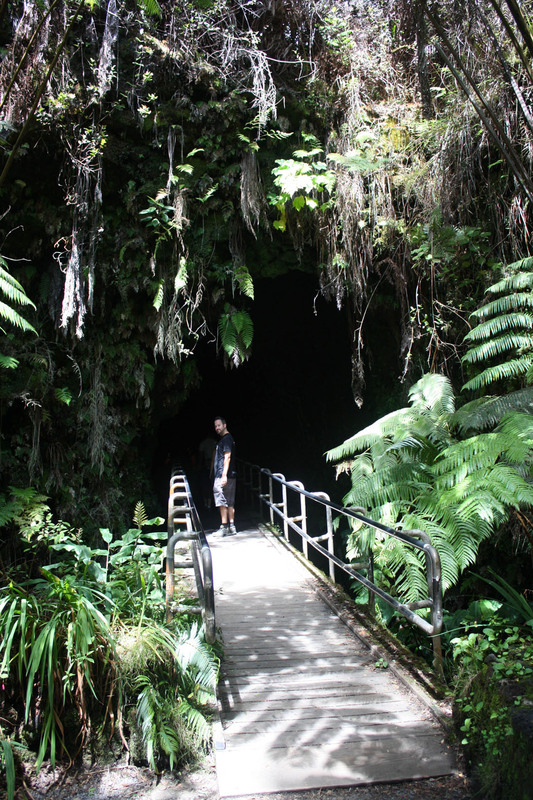 The other thing we didn’t do was go to Hilo. It’s on the other side of the island and also takes 2.5 hours to get to. I was disappointed with this because Hilo is where the waterfalls and the hiking are. Oh well, I guess that means we have to go back some day. Even though we didn’t hike the volcano, we did go to the Black Sand Beach on the way home. 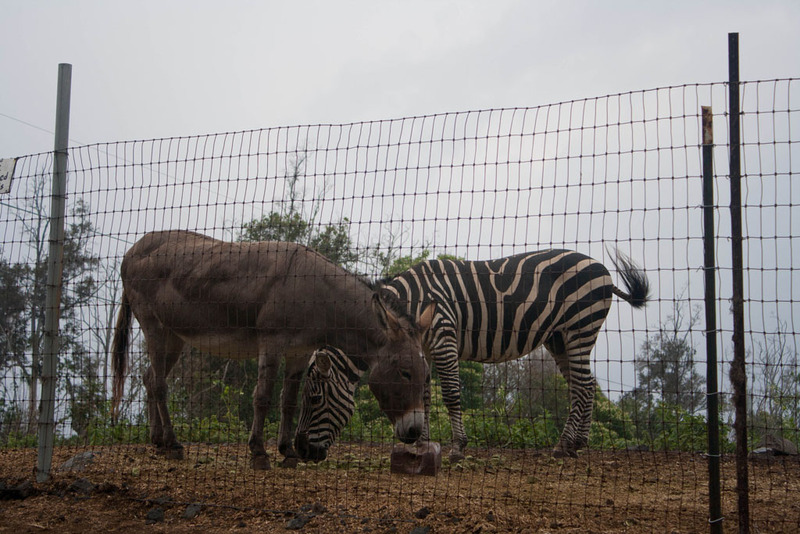 Yes, that is a donkey and a zebra. A zebra. What? I was so baffled and intrigued. Where did it come from? 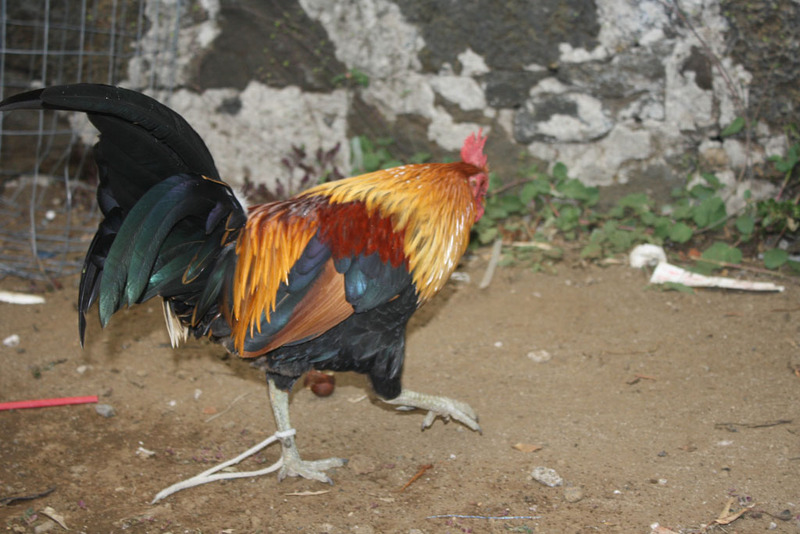 Why do they have one roaming in their yard? So weird…When we arrived back at the condo we made dinner. 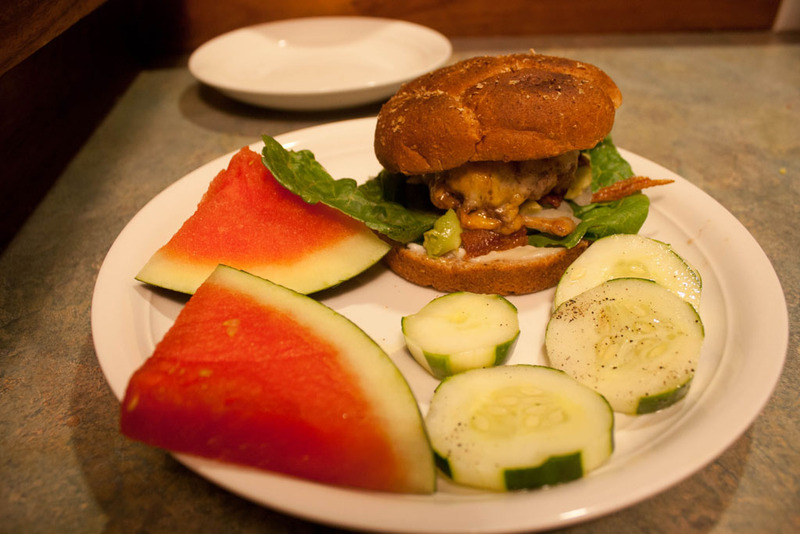 Michael grilled up cheeseburgers for everyone and we had cucumber salad and watermelon for dinner. 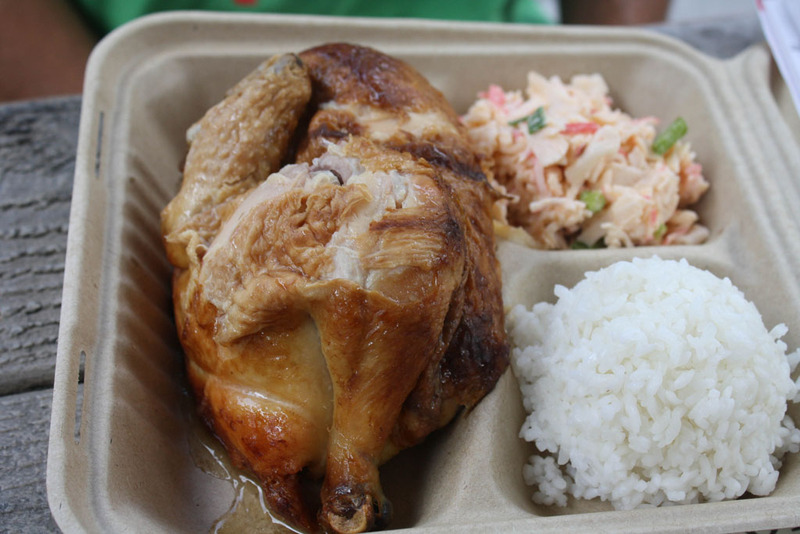 Speaking of food…one of the best meals I ate in Hawaii was a little hole in the wall that mizz Frayed Laces recommended. Thank you thank you thank you! It turned out to be the highlight of the trip for several of us. I have a feeling that it’s going to be the food that I think about years from now and crave desperately. Da Poke Shack. It’s literally a hole in the wall in a parking lot for a hotel. Poke is cubed ahi tuna. 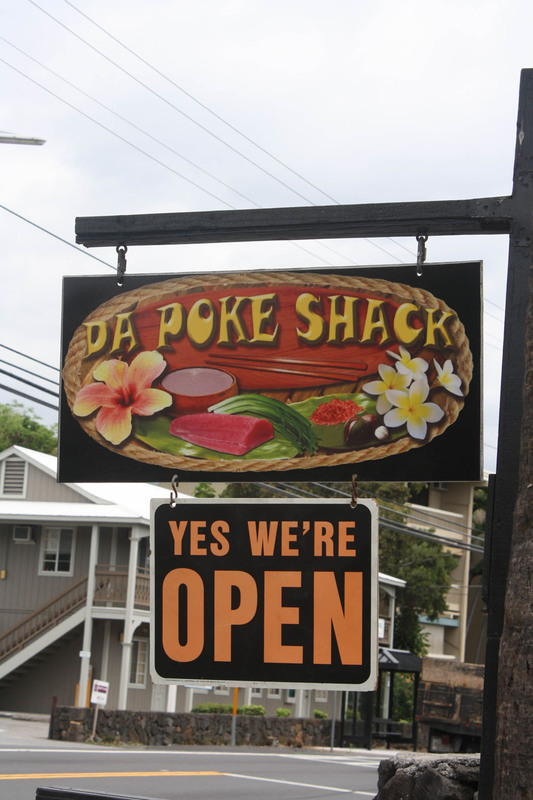 We ended up going to Da Poke Shack twice in the week we were there because we loved it so much. The first time I got the Dynamite–ahi tuna with chunks of avocado in an avocado aioli sauce with brown rice and crab salad on the side. The second time I got the Dynamite again (seriously, I loved it that much) with white rice and SPICY crab salad! Michael got the huli huli chicken the second time we went. 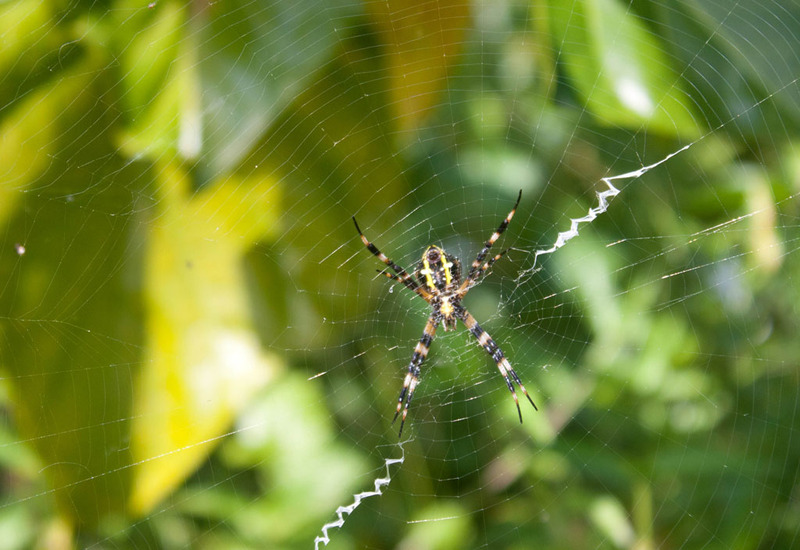 And completely unrelated to food…there were a lot of critters in Hawaii. I saw a mongoose for the first time. It looks like a ferret bred with a squirrel. They were all over the place. There were also a TON of mosquitoes so bring bug spray if you go. Saw a few cockroaches. Gross. The birds in Hawaii are very colorful and I was told that the chirping in the trees were tree frogs. We saw a ton of geckos everywhere (they were my favorite). 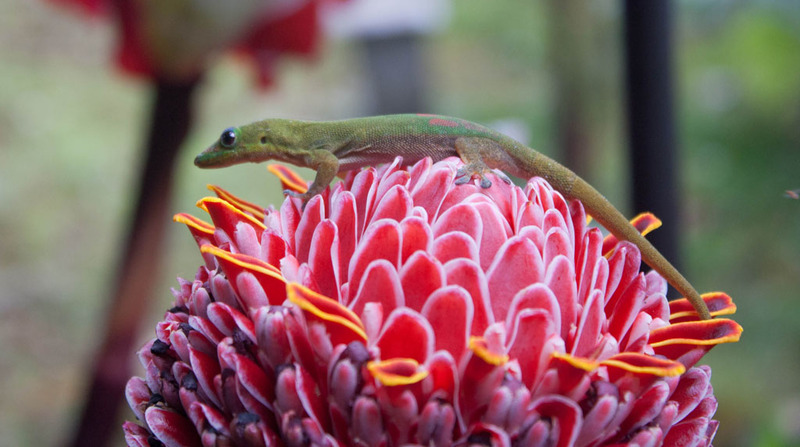 Isn’t that gecko adorable? Can they be kept as pets? (I think Fat Kitty would eat it, unfortunately…:( ) Anyway, there were also wild chickens running around everywhere. Like crossing a rural street like a gaggle of geese. Essentials to bring: sunscreen (a lot of it, too), aloe for sunburns, bug spray for mosquitoes, lots of space on your camera, the Lonely Planet guidebook for Hawaii (we used it every day all day–especially for directions to places), bandaids, and stuff to swim in. Shopping: we bought our snorkels at Target (cheaper than renting everyday), groceries and gas at Costco, produce at the farmer’s markets, and definitely go to Donkey Balls for chocolate! Heavenly. Eating: Buy groceries for most of your meals to save money but splurge a few times. 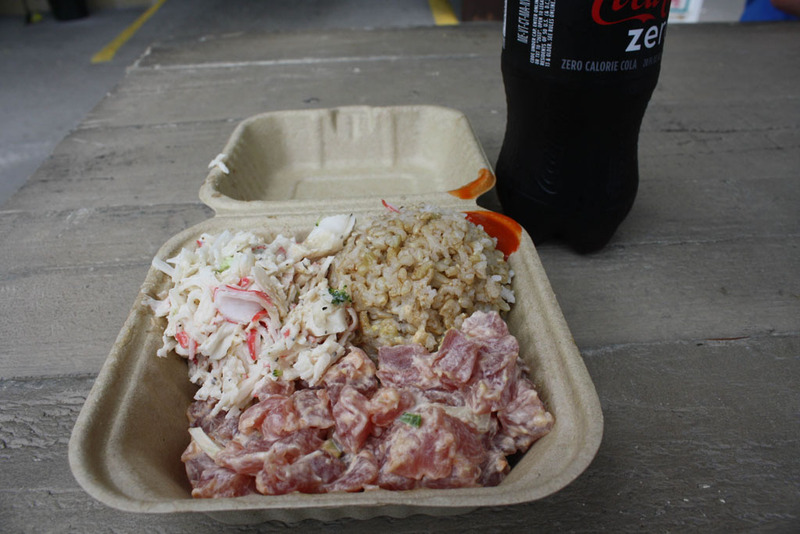 Kalua pork, huli huli chicken, Sushi Shiono and Da Poke Shack are a must. We ate all our breakfasts at home. We made sandwiches to pack in the cooler for the beach (went out for lunch 2x), and ate most of our dinners except for two at the condo. 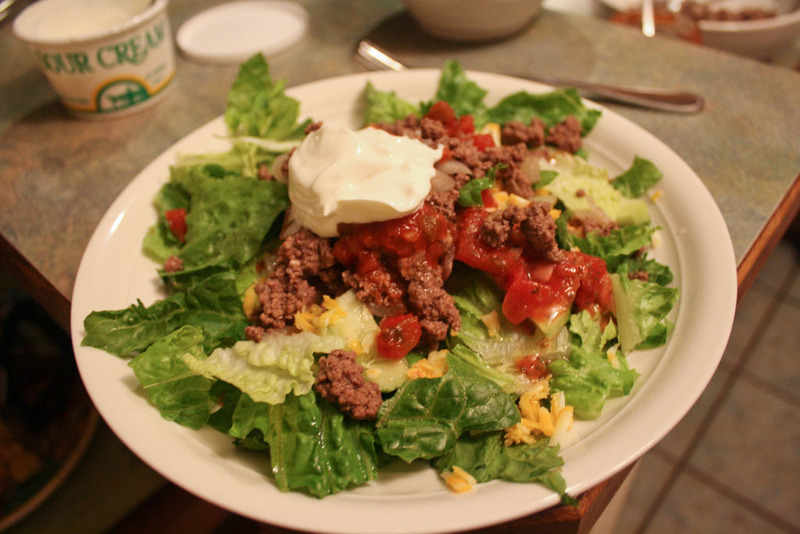 We did chicken, rice and broccoli one night, pork chops and broccoli another night, cheeseburgers twice, and had a taco night (I went with a taco salad instead). I think we were smart in how we planned our meals and had the right amount of restaurant eating. In fact…I LOST weight on this vacation!! Finally, leave enough room in your suitcase for all the goodies you will bring home. I usually don’t go overboard with souvenirs but in Hawaii I did. 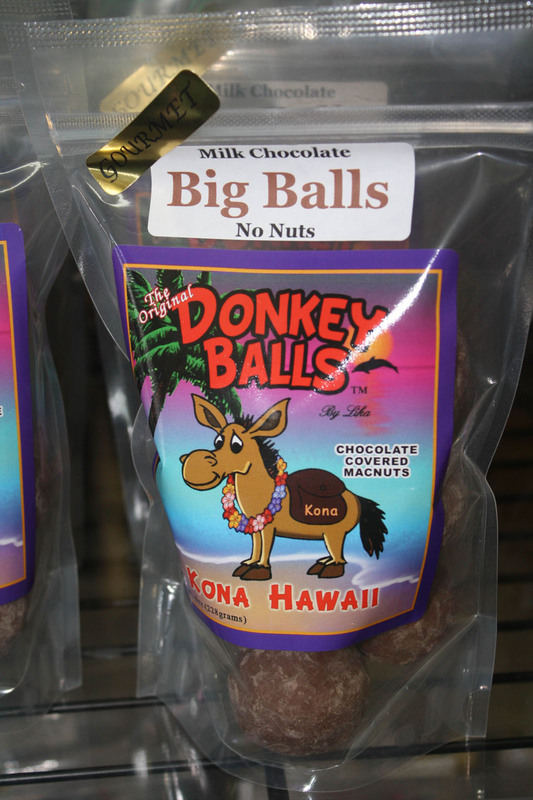 I brought home several packages of Donkey Balls, chocolate sea turtles, several macadamia nuts, many bags of Kona coffee, 2 bottles of macadamia nut oil, a bag of sugar from Maui and a few knickknacks. My bag was overflowing! 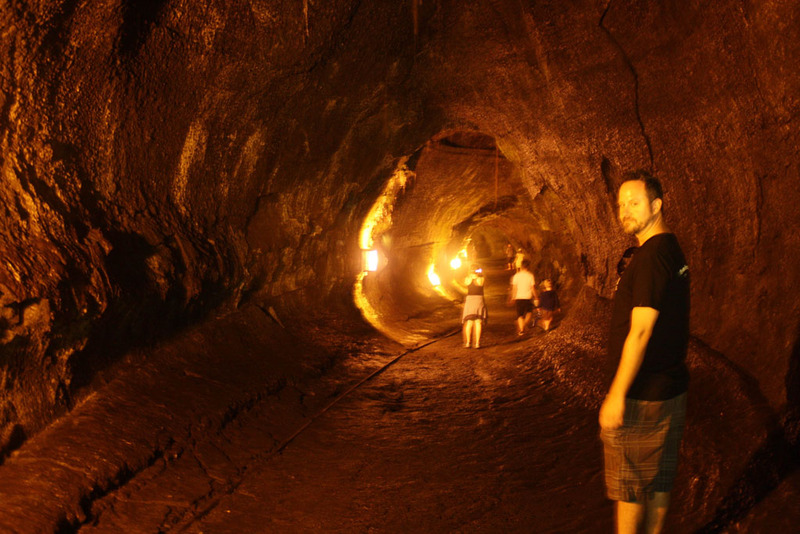 QUESTION: If you’ve been to Hawaii, what was your favorite local food there? I’ve never been to Hawaii . . . sigh . . . someday. 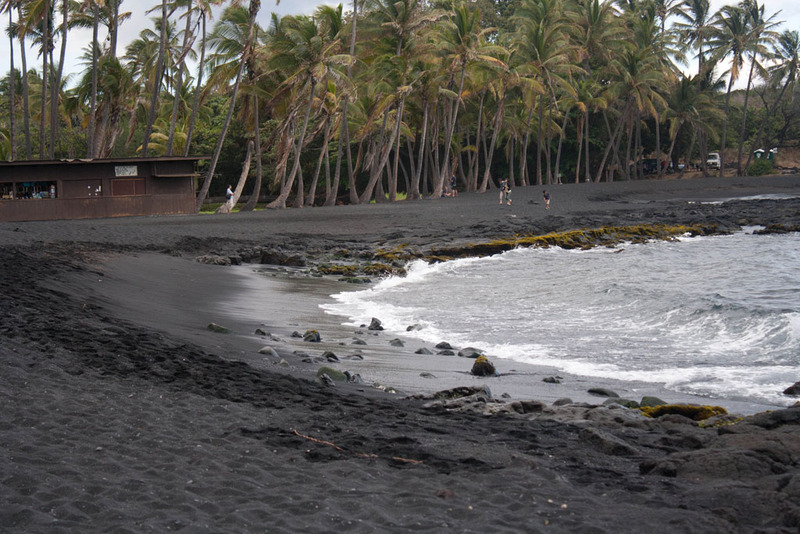 Your pictures are beautiful, and the black sand beach is so cool! Isn’t it a beautiful beach? I wish I’d had more time to explore it. Lori recently posted..TJ’s road trip! 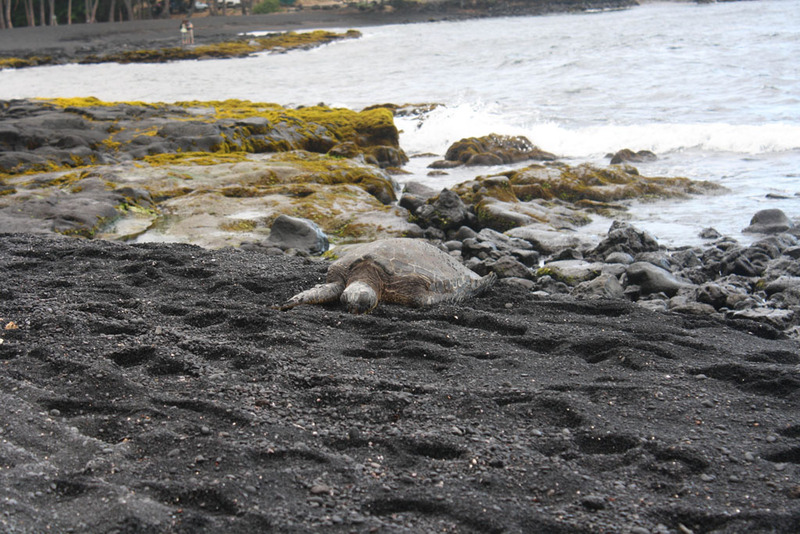 Being that close to the turtles (on the beach and swimming) was a pretty magical feeling. Beautiful photos! That black sand is amazing! Re: the zebra, they are actually fairly common to be kept domestically. Well, more common than some other “exotics.” And most people who have one use them for breeding to donkeys to get zedonks or zonkeys as they are called. Zebras have been called the hardest equine to train. Breaking one to ride is supposed to be nearly impossible. Wow! Learn something new every day. Thanks for clearing up the zebra bafflement! That sea turtle photo is stunning! They’re such majestic creatures. Growing up, my family would always stay in hotels and eat out while on vacation. 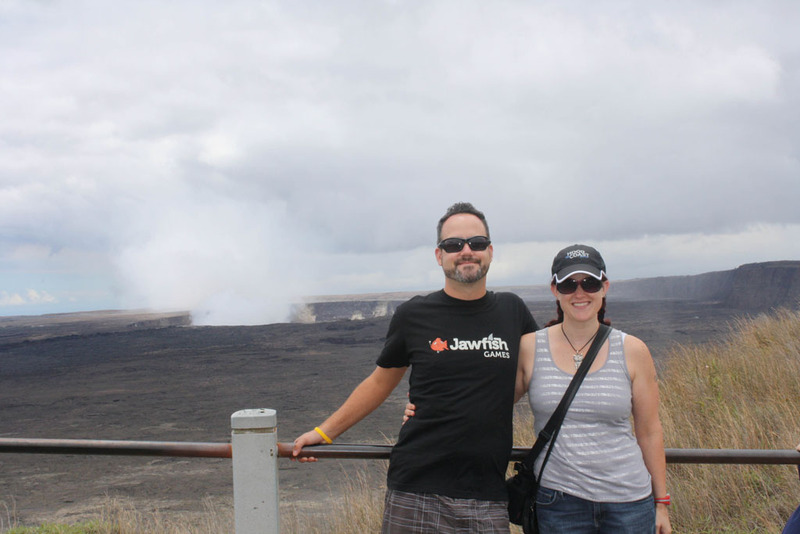 It wasn’t until I started travelling with my husband and his family that I realized you could eat sandwiches and still have an awesome trip. Now, we sample local food and supplement with groceries. Much cheaper, too!